Fly fishing can be considered a very simple sport that forces you to be in the moment. 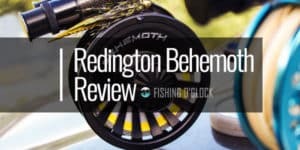 Whether you are an experienced angler that takes several fly fishing trips for years or if you have just started, this is a past time that should bring a certain type of oneness with nature. Submersing yourself in the environment around you and paying closer attention to your catch is what you ultimately are doing when fly fishing. The last thing that should interrupt an otherwise serene moment is faulty fly fishing equipment, specifically an unreliable reel. 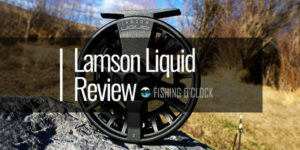 Waterworks Lamson has figured out how to combine simplicity with innovation in fly fishing with their liquid fly reel. Their reels are streamlined and simple. By using advanced materials, they are able to provide top of the line fly reels that deliver great results. From the reduced weight in the reel to the cutting edge process they have instilled in all their products, Waterworks Lamson demonstrates how they know fly fishing. It shows in the attention to what a fly fishing angler wants. For the angler that wants to focus on the catch and not worry about the dependability of their equipment, the Waterworks Lamson Liquid Fly reel would be a great option. This fly reel is in between the higher priced brands and the lower priced reels that could be targeted at beginner anglers. The price ranges to approximately $100 for the Waterworks Lamson. This reel does come with three additional spools along with a carry-on bag for your items. 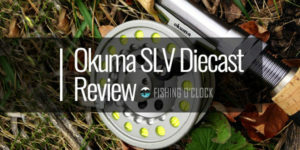 Waterworks Lamson is an innovative fly reel brand that considers every item to be a simple piece of architecture that will make fly fishing an easier task. Waterworks Lamson has brought to all anglers a premium CNC machined drag system. This USA manufactured reel is compact, light and simple. Its black exterior is sleek however the material doesn’t allow for easy damage. Waterworks Lamson Liquid Fly Reel is also a sealed drag system. Anglers that have used quite a few reels will appreciate the maintenance on this reel. With its sealed drag system, dirt, sand, and other debris are kept out of the reel. You can imagine how much time is placed into maintenance on reels when their drag system is not sealed. This helps to give a flawless operation when seeking out those larger catches of the day. Waterworks Lamson Liquid Fly reel has mastered the fly fishing reel with their own concept of the conical drag system. This provides zero start-up torque and gives an adequate range. It can run with no lubrication. 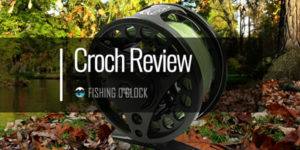 The perk on purchasing one of these reels is that you are receiving some one-of-a-kind reel with a very unique drag system. Normally there are two types of drag systems: the click and pawl or the disc drag. Both are slightly antiquated compared to the Waterworks Lamson conical drag system. 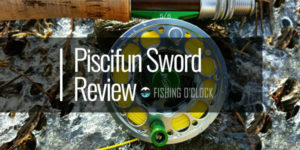 Even if you are not that experienced in fly fishing, once you purchase the Waterworks Lamson compared to the typical lower priced reels, the difference is extremely apparent. This liquid fly fishing reel has an aluminum construction that is sturdy and reliable. The rugged exterior is still lightweight due to it being pressure cast made. Ideal for reeling in bigger catches, the ultra-large arbor or ULA gives so much support. Now you can target the faster-running fish and confidently fight to reel them in since this Waterworks Lamson reel provides faster line retrieval than many other reels in its price range. The Waterworks Lamson also gives flexibility by being able to go into freshwater as well as saltwater. The main drawback would be the price on this reel. With so many lower priced fly reel options on the market, Waterworks Lamson Liquid Fly reel may not be the ideal choice for your budget. The plus in purchasing this particular product is that it does come with three spools. When thinking of the ranges of spool pricing, this purchase no longer seems to astronomical. When shopping online for this reel, you must read the fine print on exactly what you will be receiving. For approximately $100 you will receive the reel and a few additional spools. If not careful, there are vendors that will sell you the spools only for nearly half the price. If you are not careful, you will only receive the spools and not the actual reel. There is a debate on the durability of the reel. While it is extremely lightweight, it claims to be dependable and able to take some drops here and there. Proper maintenance and care are essential. Not suitable if you bang around and carry around carelessly. The Waterworks Lamson Liquid Fly reel has set the bar for anglers. With its advanced drag system, smartly designed arbor and aluminum construction, you are receiving reliability when purchasing. This may be slightly pricier than other reels. This is mainly because it includes three additional spools when purchasing. The assembly of switching out spools or rinsing off any saltwater is easy to grasp since the drag system is sealed. Having a sealed drag system means you are protected against the many harsh seasons. The aluminum is protecting it from any hard abuse due to heavy use so your reel will last a long time. Waterworks Lamson Liquid Fly reel is truly embracing simplicity. It is a sleek, clean design with a powerful drag system and ultra large arbor. 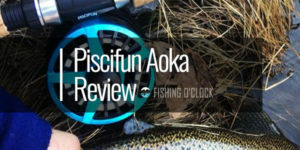 This reel makes catching pike and larger size fish a fun, yet streamlined catch. A well put together reel will allow the focus to be on pulling in your catch and not fighting with an inadequate reel. Overall, the Waterworks Lamson Liquid Fly Reel works very well for catching a pike or larger sized trout. You will be able to spool several different lines and use them interchangeably with ease.